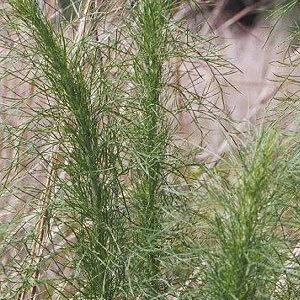 Dog fennel is a short-lived summer weed that has a fern like appearance with reddish stemns and a woody base. The leaves emit a foul odor and the flowers are small, white, and numerous. Dog fennel spreads by seed, and regrowth from the woody base. Dog fennel is usually found in low maintenance turf. Good fertility and cultural practices that encourage thicker turf will reduce dog fennel. If you still can’t beat Dog fennel, call us, we can help.